New products and changes introduced over the last week include two new ETFs from Deutsche Asset & Wealth Management, a fossil fuel-free fund from Pax World. New products and changes introduced over the last week include two new ETFs from Deutsche Asset & Wealth Management, a fossil fuel-free fund from Pax World, a large-cap growth fund from AMI Management, and three additional strategies from AssetMark. In addition, Hennion & Walsh announced a unit investment trust, Security Benefit announced an expanded investment lineup for its variable annuities, and Global Atlantic has launched a life insurance unit, Accordia Life. Deutsche Asset & Wealth Management has announced the launch of the db X-trackers Solactive Investment Grade Subordinated Debt Fund (SUBD), which offers investors access to investment-grade subordinated bonds, and the db X-trackers Harvest MSCI All China Equity Fund (CN), which provides investors with broad exposure to onshore and offshore Chinese equities. SUBD tracks the Solactive Subordinated Bond Index, a rules-based, market value-weighted index designed to track the investment-grade subordinated corporate bond market of U.S. dollar-denominated corporate securities classified as subordinated or junior subordinated. By tracking the subordinated investment grade debt mirrored by the index, SUBD is designed to provide higher yields via bonds of investment-grade companies. The higher yields are produced by the subordinated nature of the bonds rather than by using junk bonds. The fund will be subject to marginally higher credit risk due to its investments in subordinated debt. CN offers direct access to China A-shares in addition to China B-shares, China H-shares, China Red Chips, China P-Chips, China ADRs, and securities of Chinese companies listed in the US and Singapore. It will seek to track the MSCI All China Index, which captures large- and mid-cap Chinese securities listed inChinaand Hong Kong, as well as in theU.S.andSingapore, and which currently has 612 constituents. Pax World Management LLC, investment adviser to Pax World Funds, has announced that the Pax World Growth Fund (PXWGX) has divested its fossil fuel holdings and will henceforth pursue a fossil fuel-free investment strategy. In lieu of fossil fuel companies, PXWGX will substitute investments in companies that are proactively developing solutions to global sustainability challenges, including climate change, water, food and health care. The fund is managed by Tony Trzcinka. The fund seeks to avoid investing in companies engaged in the exploration, development and production of fossil fuels including oil, coal, and natural gas. In addition, while PXWGX has always integrated environmental, social and governance (ESG) factors into stock selection and portfolio construction, it will now increasingly focus on investing in high-impact companies whose products, services or business strategies offer positive solutions to global sustainability challenges. AMI Asset Management has launched the AMI Large Cap Growth Fund (AMILX). AMILX’s portfolio team utilizes a distinct “growth at a reasonable price” strategy of investing in companies whose revenues are derived from recurring sources, which AMI defines as products or services with lifespans of two years or less. Beyond the fundamental criteria required of a company, AMILX will seek to purchase securities at a discount of 10% or more to the team’s internal estimate of the security’s intrinsic value, which is determined using AMI’s proprietary models. All investments must exhibit recurring revenue business models and derive at least 50% of their revenue from recurring sources. The Beaumont Capital Management strategy integrates key concepts from behavioral finance relating to the asymmetry of people’s emotional responses to gains and losses, with the goal of providing downside protection and smoother, more reliable gains. William Blair & Company wraps the core position in its global macro mutual fund with ETFs and employs a strategy that is informed by a valuation and risk management approach across multiple asset classes including currencies. Windham Capital Management uses a top-down asset allocation approach based on two proprietary risk measures: one based on general health of the markets and the other on market vulnerability to shocks. Hennion & Walsh has announced the launch of its SmartTrust Zacks GARP Composite 35 Trust, Series 1. 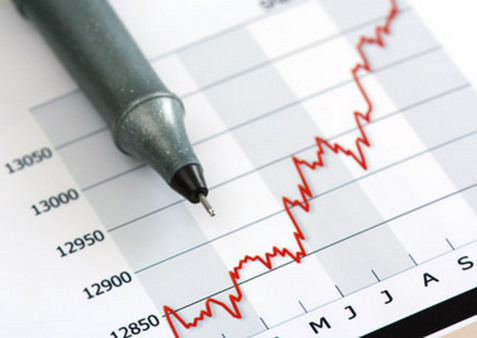 The 15-month unit investment trust (UIT) is comprised of 35 equity securities selected by Zacks Investment Management, Inc. and seeks to provide investors with the possibility of above-average total return (a total return that exceeds that of the S&P 500 Index over the life of the trust). Security Benefit Corporation has announced an expanded investment lineup of 67 additional underlying funds for its SecureDesigns and EliteDesigns suites of variable annuities. SecureDesigns has added AllianceBernstein, American Funds, BlackRock, Ibbotson, Ivy Funds, JPMorgan, Lord Abbett and Putnam. EliteDesigns has added American Funds, Eaton Vance and SEI. Accordia Life, a subsidiary of Global Atlantic Financial Group Limited, has announced the launch of its life insurance business. Global Atlantic acquired the Aviva USA life division in 2013 and subsequently incorporated it as Accordia Life. The life insurance business launches with a suite of products, including indexed universal life, universal life and term insurance.